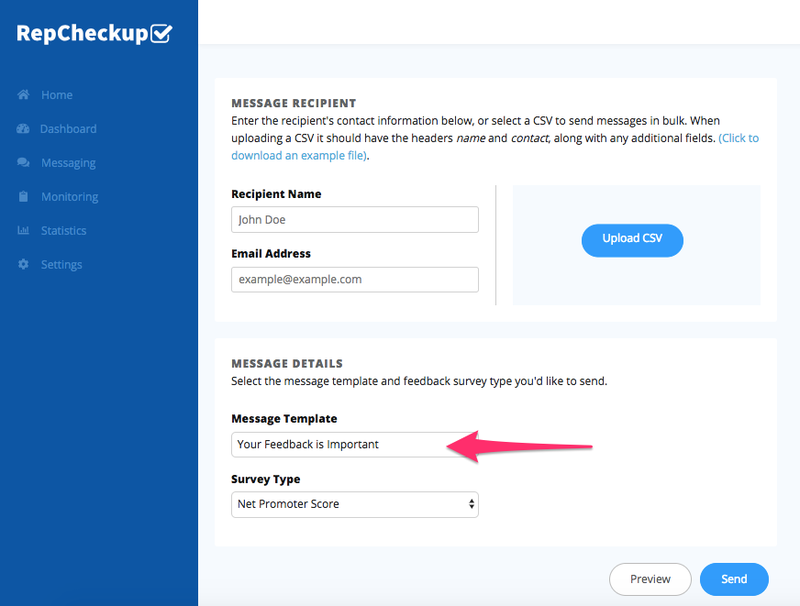 To send bulk email requests, you’ll need to navigate to the organization and location that you’d like to get customers to leave a review for. Navigate to the “Messages” section of the sidebar. 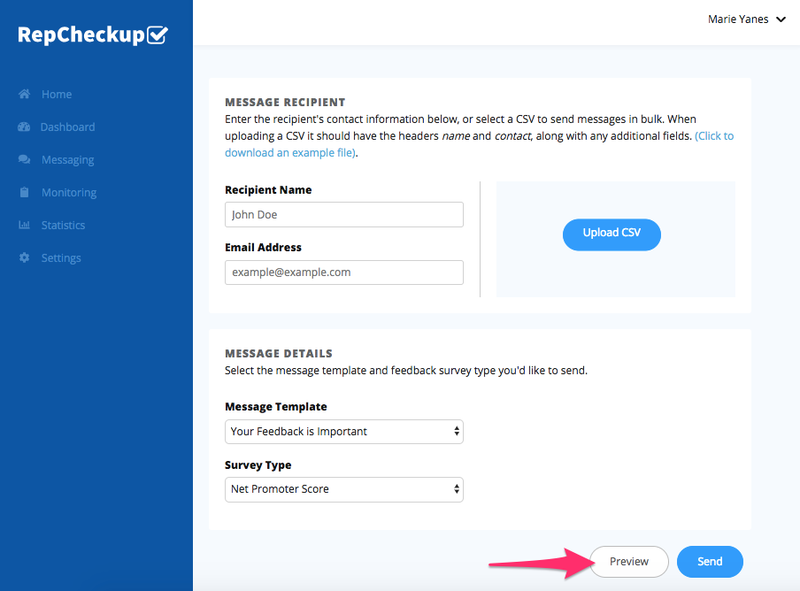 Upload a CSV full of customer information. 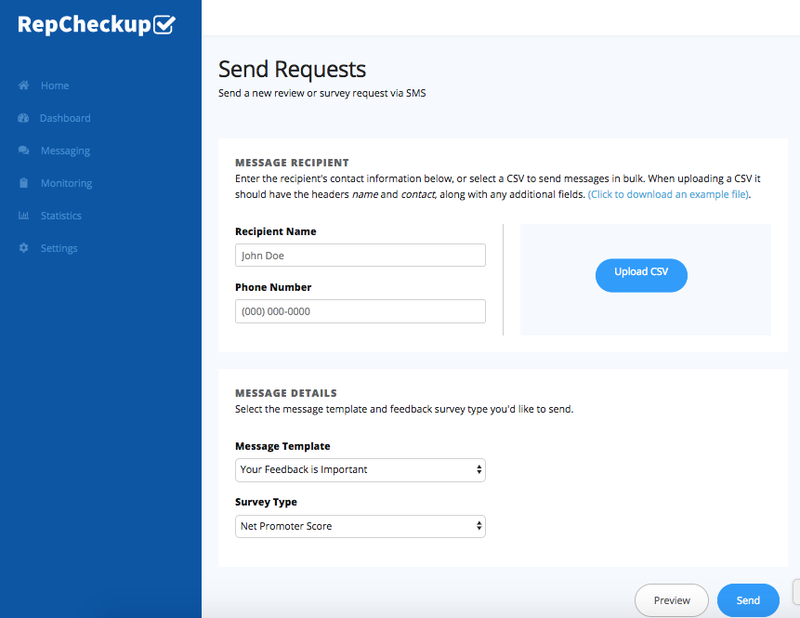 As a part of your customer intake process, you should be collecting their name, phone number, and email address. You will also need to get their permission to contact them before you enter their information into a CSV file. 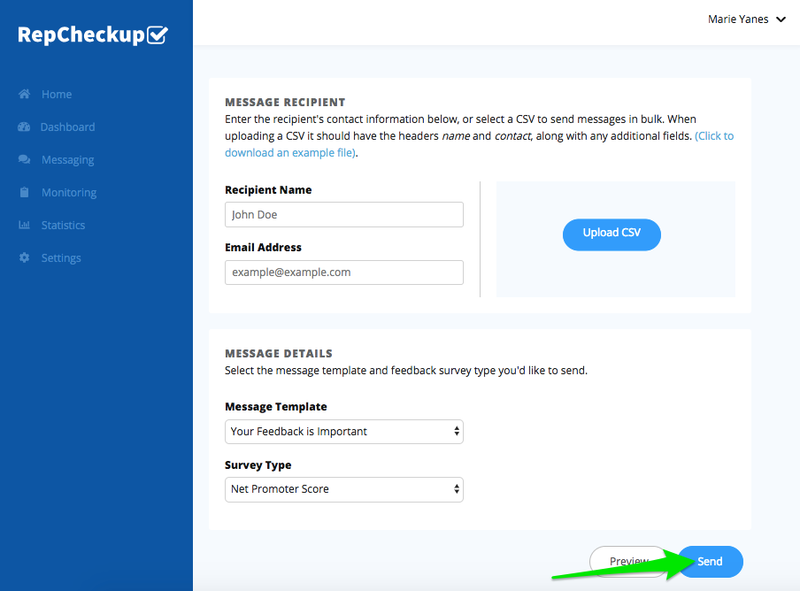 Make sure that it is formatted so that each point of data is organized in its own column so that RepCheckup can pull the information correctly. 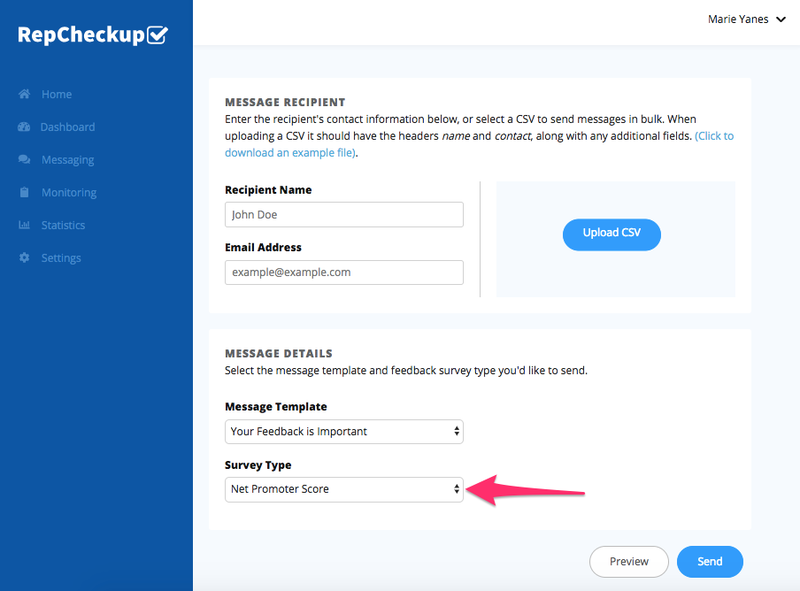 Select the type of survey that you want to send en masse.